The latest innovation in the Womanizer family, the Starlet Snow Clitoral Stimulator has the same great power as the Deluxe model, but in miniature form. This pocket-sized powerhouse may look petite, but it packs a powerful punch. 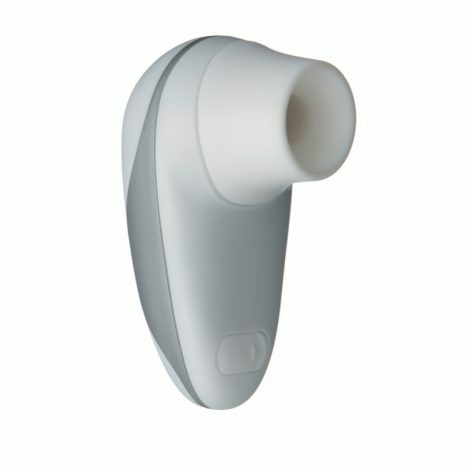 Just 3 inches in length, the Starlet is ergonomically designed to connect to the body through highly stimulating suction. 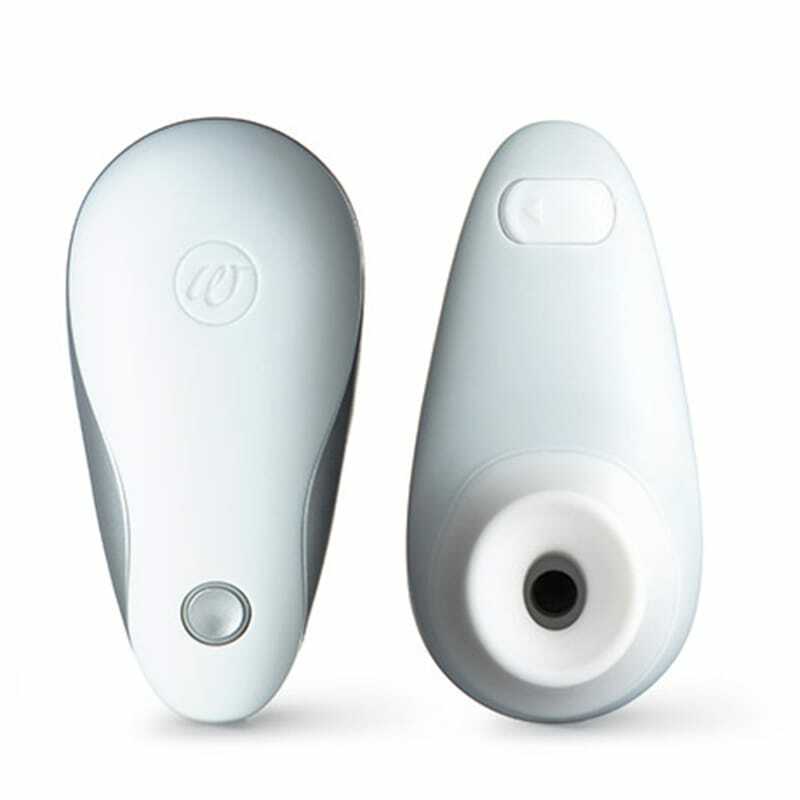 The patented Pleasure Air Technology features focused clitoral stimulation via the soft silicone suction tip, combined with mild yet effective vibration. A single button controls on/off and scrolling through the 4 escalating intensity levels. Silent mode. The Starlet is splash-proof and comes with a USB charging cable and one silicone cap that's easily removable for cleaning. 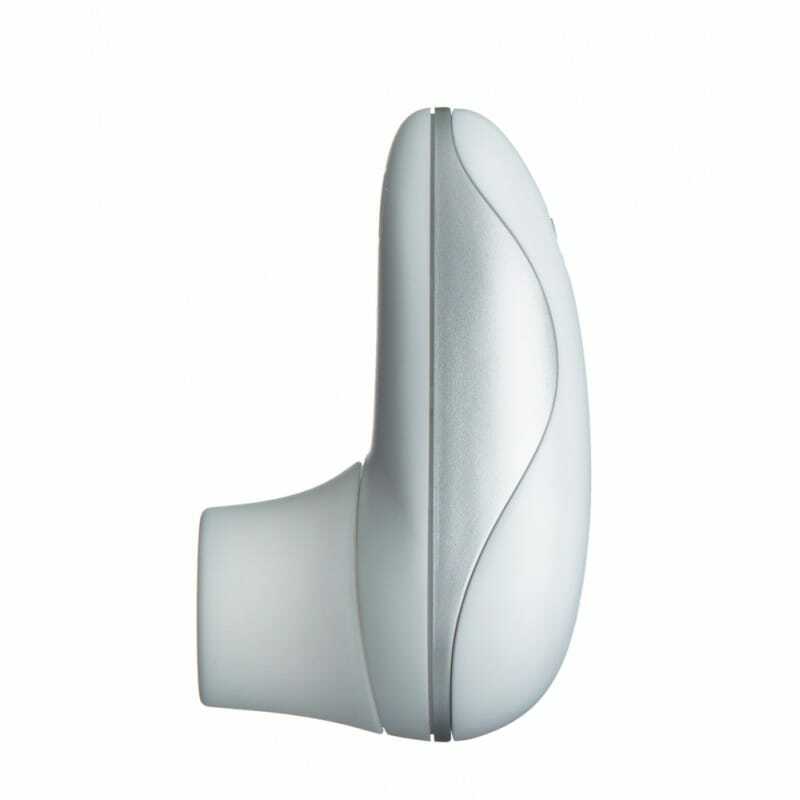 Material: ABS, soft touch Material stimulation head: hypoallergenic medical silicone. Measures 3.1 in. by 1.96 in. (85 x 50 x 60mm) Weight without packaging: 2.3 oz (70g). USB rechargeable- 30 minute charge time for 30 minutes of play time. 2 year warranty.